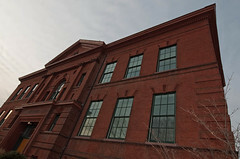 Every year, DCPS holds an out-of-boundary lottery to allow families to apply to move from their neighborhood school to another nearby school in the District. This year, over 5,000 families applied for the lottery, and more than 3,300 were able to be placed at schools of their choosing. Chancellor Michelle Rhee expressed some happiness at the increase, saying, “a number of schools have gone from under-enrolled to flourishing,” during the past few years. In addition 14 schools now have waitlists for the first time in recent memory. Here’s hoping they can continue to boost enrollment, which will increase funding for the District, as well as, hopefully, allow for the recruitment of better teachers, allow for more professional development of staff, and increase test scores and learning in the District’s public school system. So DCPS failed “only” 1700 families. Whoppee!